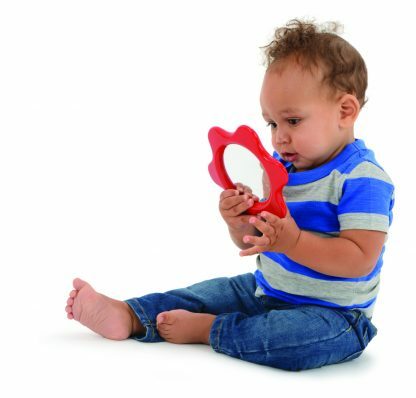 Who's that baby in the mirror? It's you, that's who! 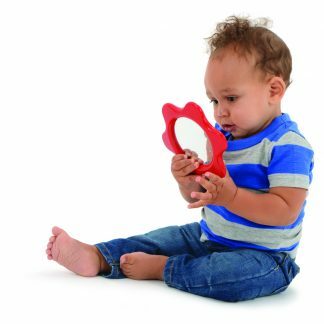 Lightweight, easy to grasp and hold, this flower-shaped, double-sided Ambi Baby mirror invites babies to discover their reflections and learn who they are.